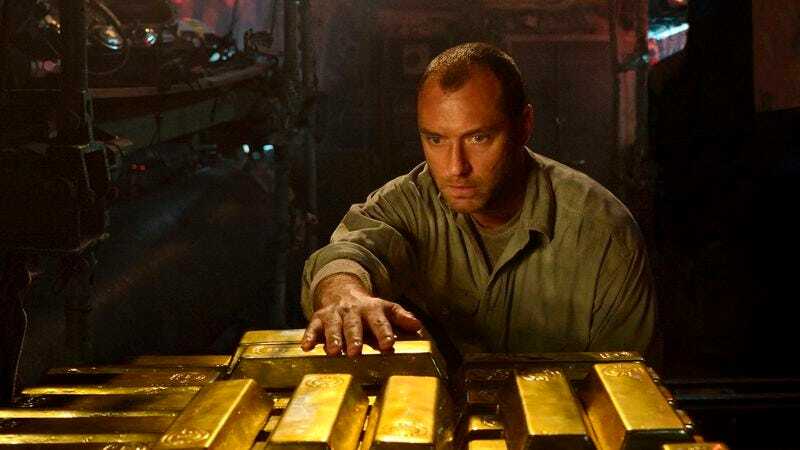 What happens when you put a bunch of shifty, greedy men in a submarine on a quest for Nazi gold? Mutiny, marauding, and murder, it seems. Though Black Sea is peg leg and talking parrot-free, it’s got the makings of a modern day pirate movie: a world-weary captain, an innocent cabin boy, and restless sailors looking to stage a coup. A roughed-up Jude Law leads the cast, which also includes Scoot McNairy and Ben Mendelsohn. Black Sea opens in Chicago on January 30, but The A.V. Club has an opportunity for you to see it for free on January 29. For your chance to win a pair of passes to the screening, simply follow the link here and enter your information. As always, seats are first come, first served, so be sure to arrive early. You can find an official plot synopsis and trailer below.